In 2015, the Count Machinery was acquired by Martin Yale Industries. Today, the new COUNT is dedicated to continuing its legacy of more than 55 years delivering quality American-made products for creasing, folding, scoring and more. 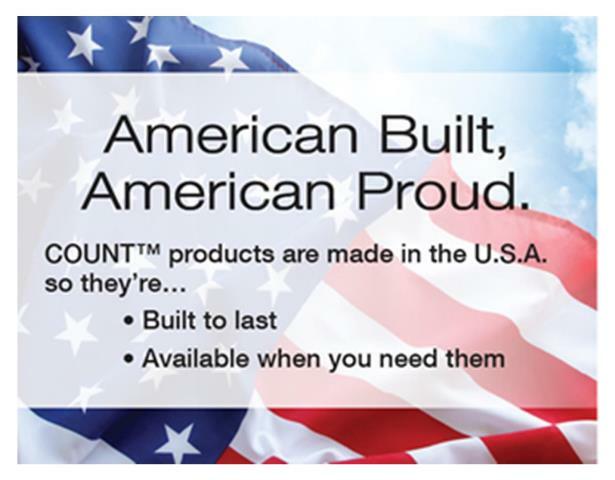 But COUNT today also brings the strength and support of Martin Yale Industries to the table, supporting COUNT products with the industry’s best warranty, unparalleled customer service, and partnerships with the very finest sales and service dealers. A budget freindly fully automatic creaser, perforator and scoring system. Multi-Functional Finishing System - Creasing, Numbering & Perforating. An all-in-one space saving system that performs the functions of 3 machines! The simple hand-feed creasing solution with the power of automation. Combines creasing and perforation in one simple yet powerful machine. An easy-to-use top friction-feed machine for high speed perforating and scoring at low to medium volumes.